Flamingos and palm trees are classic images of Deco era Miami Beach. 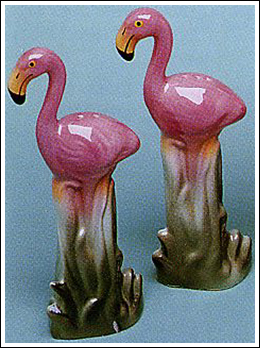 Here, for your kitchen, is another version of the classic, mostly pink and green, ceramic flamingo. It measures 5-1/2" high and is dishwasher safe.